The beds are one meter wide and eleven meters long…yup….our beds go up to eleven…. It’s April 8th. Seed sowing has got underway in earnest. The leaves are opening on the trees, the birds are tweeting, and everything is happy and bouncy in the Kingdom of Higgledy. I have some chums who are getting married at the end of July and I have offered my silky skills as a flower grower to provide them with a dedicated patch of flowers, local to where they are to be wed in deepest Suffolk. The patch before we started. The root wall defends the patch from the cold north wind and was made from roots collected from a local root removal company. I usually avoid weddings like the plague but one has to face one’s fears…doesn’t one? Happily, we have mutual friends who have land we can utilise for the growing of the flowers. *Erect a rabbit-proof fence around approximately 150 square meters of land. *Dig beds a meter wide with a meter between them for paths. *Broadcast sow one bed with bee and pollinator friendly seeds to be uber eco-chic and to impress the bridesmaids. *Pray to the Spaghetti Monster that they will be in flower by July 28th. 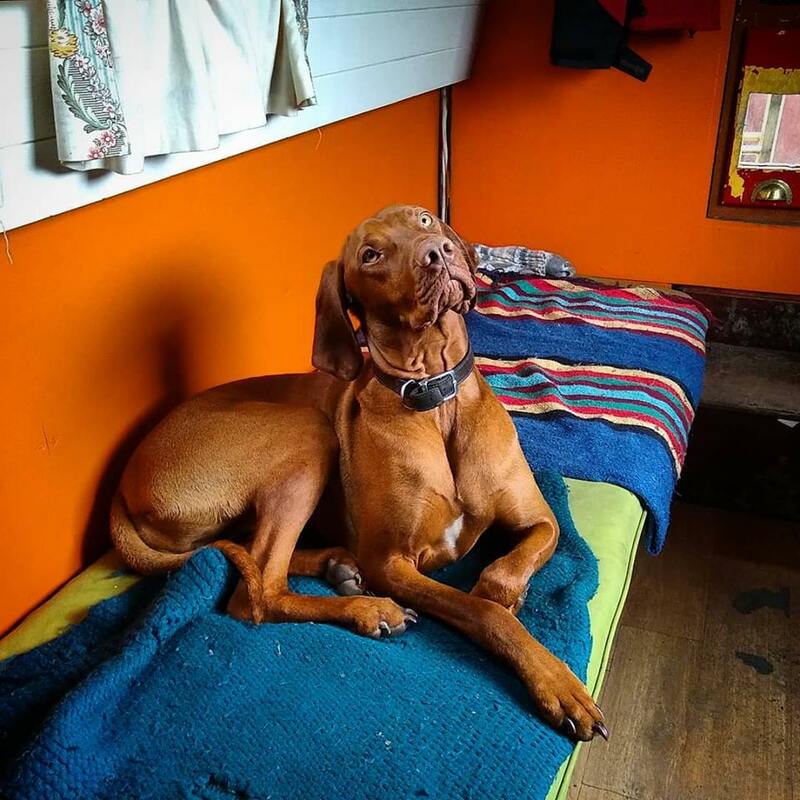 Last week, Flash and I jumped in the Blunder Bus and headed out to Suffolk and met up with Hobo and Soho Mo, my friends with the land, and we got stuck into transforming a section of land into a flowery paradise. The boat is our escape plan should the patch not flower in time for the big day. After three days of toil, veggie curry, and Continental lager we had ourselves a tidy fenced off area. The graft was putting up the fencing, the digging was easy as the soil is very sandy. I will cost the whole venture out so that those of you who are interested in doing similar will know what to expect financially. 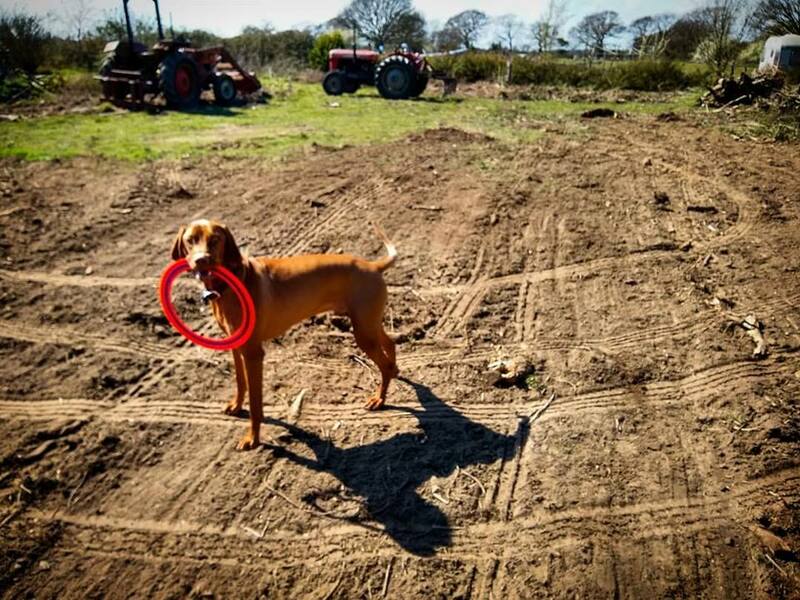 Flash said he would have helped but training to be a Frisbee champion had to come first. The rabbit-wire, posts, staples, tensioners and tensioning wire all came in at just under £250 for approximately 50 meters of fencing. 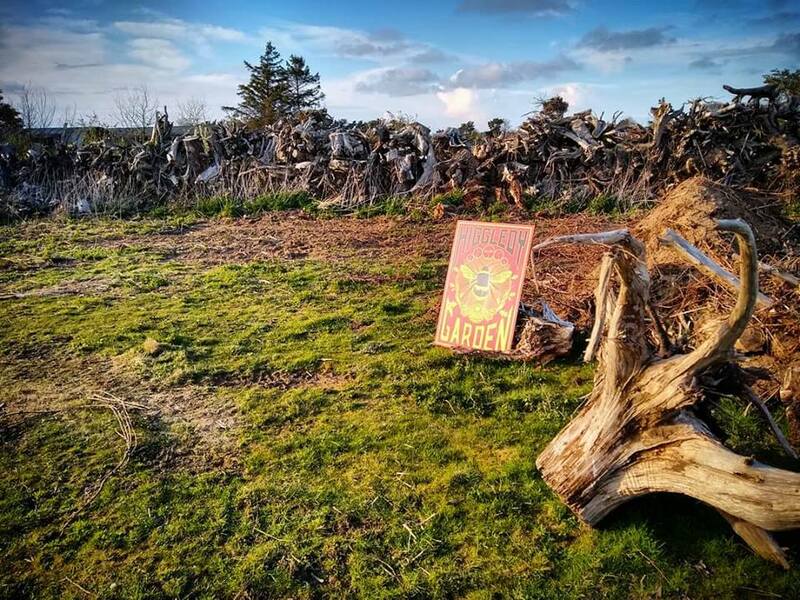 We bought good and strong posts and generally overengineered the structure as the local rabbits are well versed in the art of destruction and torment. Local legend has it that the alien sightings at the nearby Rendlesham Forest in 1982 was when the rabbits were turned into cyborgs…half rabbit half robot, known as Rabots…hell bent on bringing down the Higgledy Empire one flower at a time. Meanwhile, in Oxfordshire, we have seedlings germinating away. Some were sown as early as March 15th but most are being sown this week. July 28th may sound late into the summer but annual flowers can take their time getting into their funky chicken stride and it’s rarely before this that they are firing on all cylinders. Early August is generally when you will start to get gluts…and unusually, a glut is what I’m after on this occasion. 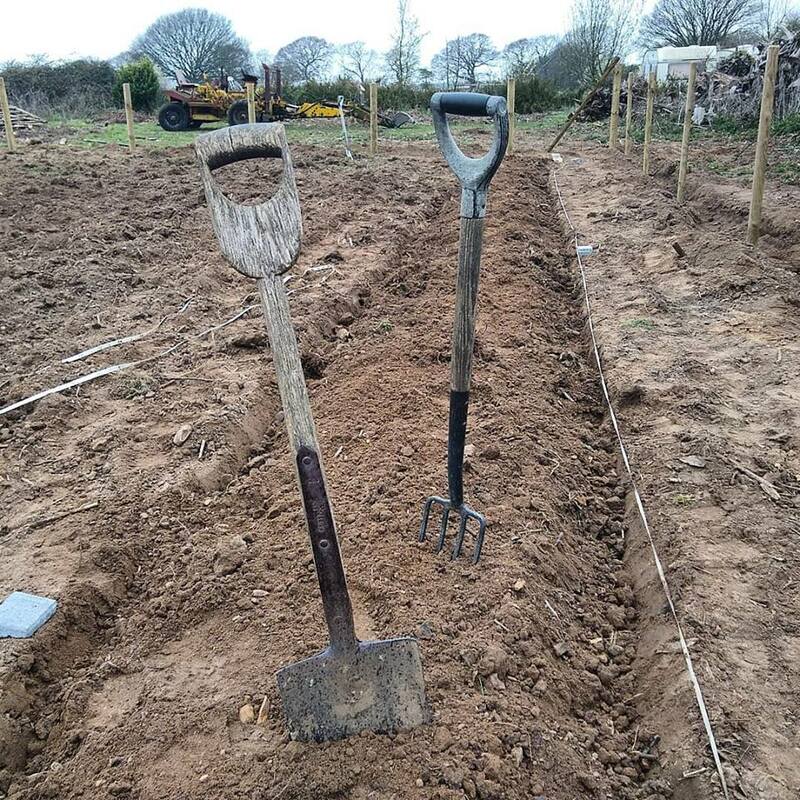 My next visit to the wedding patch will be in late April when I will dig the rest of the beds and plant out some of the annuals, but most I will leave until late May in order to push them along in the polytunnel. Late April will also see the sowing of the ‘bee-friendly meadow patch’. 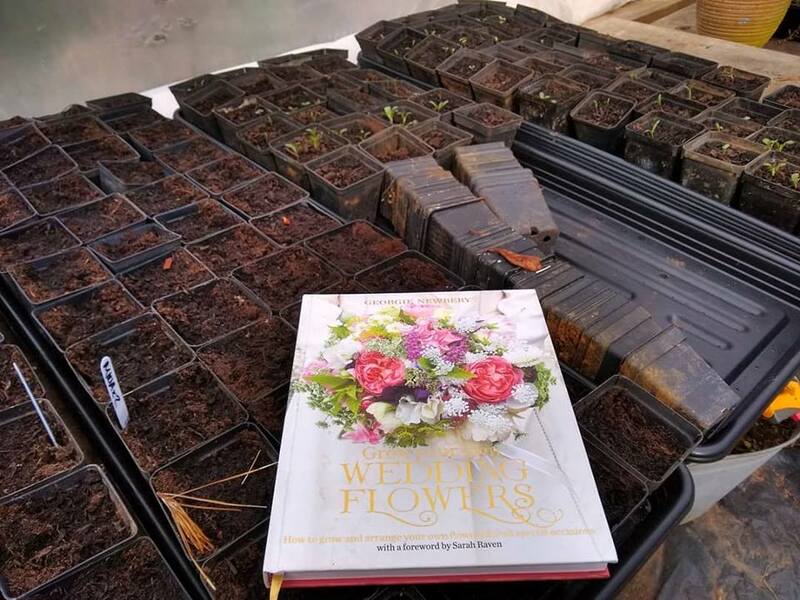 The bride and groom will be making up their own floral bits and bobs for the wedding from the flower patch but I will be learning some simple wedding floristry on the way and using the info from Georgie Newbery’s ‘Grow Your Own Wedding Flowers’ to get me up to speed. I will, of course, keep you posted as we go along. 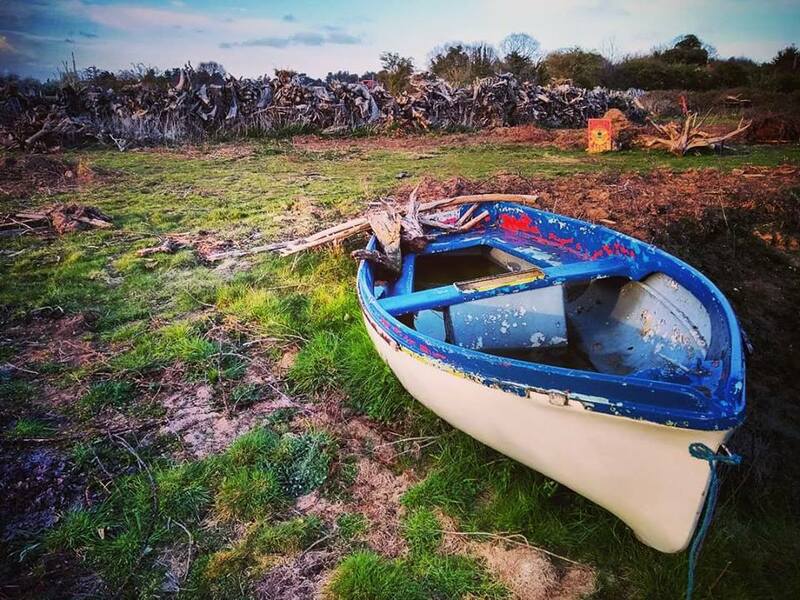 This will be my main flower growing project of 2019, along with another crack at the boat garden ( #BoatyMcBoatGarden) but I am going to start that project quite late…probably the first week of May when all the sowing has been completed for the wedding patch. If you have any questions then please ask away…you can find me on Twitter or Facebook Should you wish you can join ‘Club Higgledy’ for newsletters and discount codes. (see the right-hand sidebar).